SYRACUSE, NY (SEPTEMBER 21, 2018) - The #1 ranked S.I. 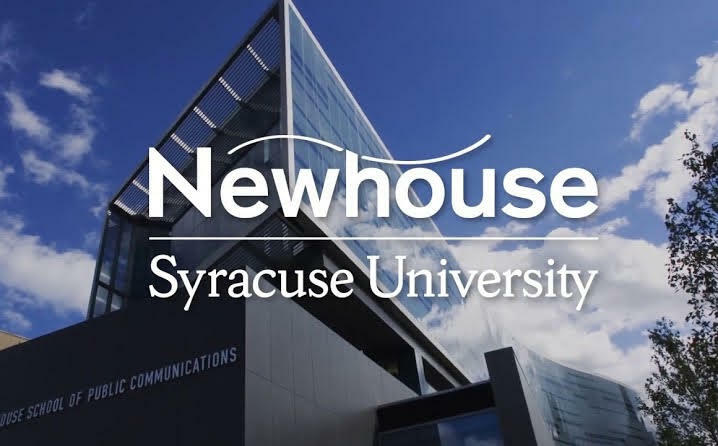 Newhouse School of Public Communications highlighted SourceFunding.org in its latest feature, “Newhouse School instrumental in expansion of multibillion-dollar economic development initiative SourceFunding.org.” The feature celebrates the recent surge in growth for the platform as it surpassed its goals for 2018. Click to read the entire Newhouse article. Tech entrepreneur Ashley Warmington, the first and only female entrepreneur to win the City University of New York’s annual SmartPitch business plan competition, says she wouldn’t have been able to secure her financing from 87 funders at a 0% interest rate without the assistance of SourceFunding.org. BROOKLYN, NEW YORK (February 8, 2018) - The nation's first and only universal business funding application, SourceFunding.org, announced the successful completion of its national expansion thanks to the support of university and foundation partners. For the first time, entrepreneurs and small businesses in the U.S. can match with, and apply to, every single low-cost community bank and non-profit lender in the country using a single university and foundation backed platform. Building on the matching algorithms of a dating software, the proprietary platform provides a unique way to access 14,000 community lending institutions while simplifying the small business loan application process. SourceFunding.org is successfully assisting entrepreneurs in all 50 states by providing a free Funding Profile that helps them match with low-cost financing thanks to the generous support of university and foundation partners. Brooklyn-based tech entrepreneur Ashley Warmington, founder of MWBE certified AirBnB property management company Cozy Oasis and a recent graduate of the Medgar Evers College (MEC) School of Business, successfully secured funding to grow her business with the help of SourceFunding.org, which she is using to create several jobs in her local community and to expand her business internationally. Although Ms. Warmington is no longer a student, as a Brooklyn resident she receives support from MEC and W. Michael Short, who founded SourceFunding.org, and serves as MEC's Entrepreneur in Residence assisting student-run businesses and managing the International Innovators Initiative (IN2NYC) with the New York City Economic Development Corporation. Ms. Warmington, the first and only female entrepreneur to win the City University of New York’s annual SmartPitch business plan competition, says she wouldn’t have been able to secure her financing at a 0% interest rate without the assistance of SourceFunding.org. The national expansion of SourceFunding.org builds on a successful pilot by founder W. Michael Short’s award-winning consultancy and was planned by the Global Social Enterprise Institute (GSEI) in the Ashoka U Commons accelerator as part of an economic development initiative supporting socially responsible businesses, highlighted in “What’s Working: Small Business” by Huffington Post. Selected as a 2016 Clinton Foundation sponsored initiative known as a “Commitment to Action,” the platform was featured for socially responsible “FinTech Innovation,” and highlighted at the Obama White House. 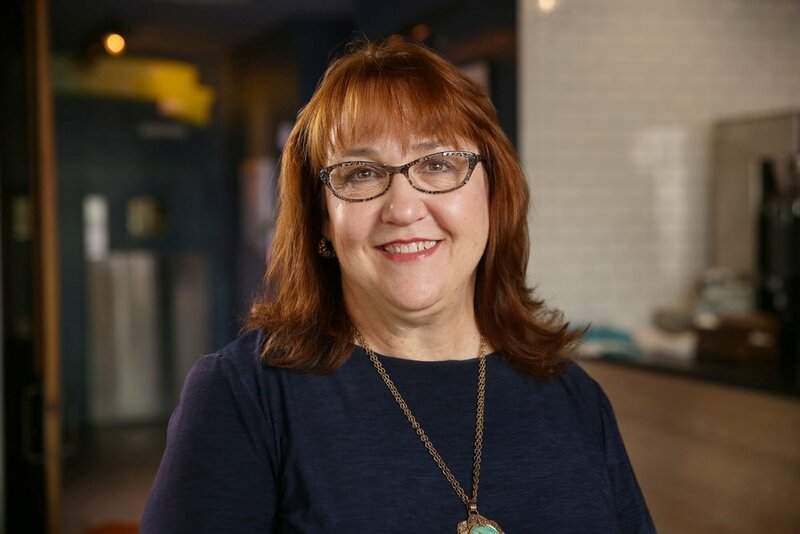 First housed by Le Moyne College, with the platform’s founder serving as the College’s inaugural social entrepreneur in residence, SourceFunding.org opened its national headquarters in NYC in 2017 with a field office at MEC School of Business. The prestigious Maxwell School of Citizenship & Public Affairs at Syracuse University is also among the institutions involved in the development and implementation of the platform’s social enterprise business model. SU’s #1 ranked S.I. Newhouse School of Public Communications is also playing an “instrumental” role along with the Martin J. Whitman School of Management. SYRACUSE, NEW YORK (October 13, 2016) - SourceFunding.org Founder W. Michael Short was invited to speak at a Public Diplomacy Symposium hosted by Syracuse University's #1 ranked S.I. Newhouse School of Public Communications and #1 ranked Maxwell School of Citizenship & Public Affairs. Short spoke about the public diplomacy related considerations, challenges, and lessons learned relating to the launch of SourceFunding.org. Joining Short on the "New Public Diplomacy" panel was Corri Zolli, director of research at the Institute for National Security & Counter Terrorism. "The prestigious Public Diplomacy Program at Syracuse University is so incredibly impressive and the students and faculty are world class," said Short. "We've had over 250 SU students engaged in our efforts to date and we look forward to building on this strong partnership." Click here for a link to the press release from Syracuse University. The “New Public Diplomacy” panel features Michael Short, founder of Short Enterprises. The company focuses on utilizing “market based solutions” to solve problems related to a wide range of topics, from green infrastructure to urban revitalization and STEM education, Short said in an email. The symposium is being held in both Newhouse and Maxwell over the course of two days. The two schools offer a joint public diplomacy program, in which Short is an alumnus. Short said he was specifically invited to discuss the public diplomacy related aspects associated with launching their financial technology platform, called SourceFunding.org. The platform works to connect small businesses with $100 million in funding by the end of 2018, according to its website. “I credit my education at Newhouse and Maxwell with providing me with the skills and experiences necessary to launch and grow my firm and our initiatives,” Short said. SYRACUSE, NY (Nov. 5, 2015) - The Global Social Enterprise Institute, an Initiative of international consultancy Short Enterprises with offices at Le Moyne College's Madden School of Business, announced on Tuesday the launch of the world's first socially responsible financing platform at Syracuse University's #1-ranked S.I. 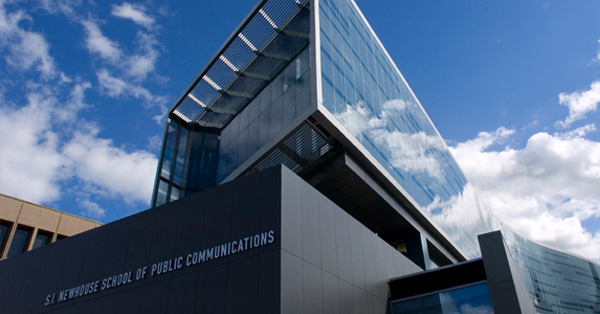 Newhouse School of Public Communications. The platform, SourceFunding.org, will streamline the small business loan application process and match entrepreneurs of all backgrounds with the qualified community banks and loan programs that are most likely to provide low-cost financing. "After 2 years of planning, development, and putting partnerships in place, we're excited to extend our regional pilot for SourceFunding.org," said Institute President and SourceFunding.org Founder W. Michael Short. "This represents an important milestone in scaling SourceFunding.org into a national and then international platform that will empower entrepreneurs and also the responsible low-cost community banks that support them." SYRACUSE, NEW YORK (April 29, 2015) - SourceFunding.org is thrilled to announce that the S.I. Newhouse School of Public Communications at Syracuse University is collaborating to develop campaign and engagement strategies for the platform's launch. Established by the Global Social Enterprise Institute, SourceFunding.org is the first socially responsible business financing platform for business owners throughout the United States. SYRACUSE, NEW YORK (October 24, 2014) - The S.I. Newhouse School of Public Communications at Syracuse University and Short Enterprises have partnered to establish the Startup Insider Initiative, a network supporting entrepreneurs throughout the United States. The Initiative's primary focus will be to design and launch SourceFunding.org, a new platform that will streamline access to business financing from trusted community lenders, providing the first alternative to the proliferation of predatory online lenders. The platform will be committed to financial inclusion, working with business owners in underserved communities who don't have access to low-cost financing.